What's New for the 2018 Jeep Cherokee - the compact SUV/crossover category is littered with options, but no name stands on top like the Jeep Cherokee. Heading into 2018, Jeep made some upgrades and changes to the Cherokee model in stocking all trim packages with 17" wheels and roof rails. Some trim packages in the Cherokee have added Amazon Alexa voice-recognition to the cab of the vehicle, allowing for hands-free usage and keeping the driver's attention on the road. An 8.4-inch Uconnect entertainment center with touchscreen brightens up the dash of some of the trim packages as well. 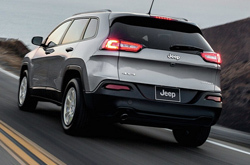 The 2018 Jeep Cherokee comes available to consumers in several trim packages, each bearing its own set of uniqueness and style to match the owner. 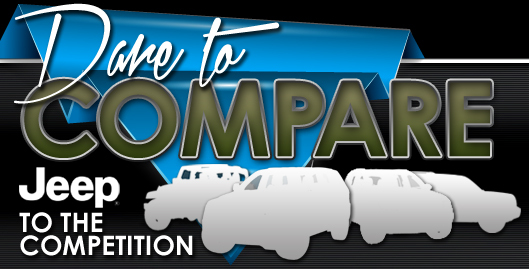 The trim packages of the Cherokee include the Overland, the Trailhawk, the Limited, the Latitude Plus and the Latitude. 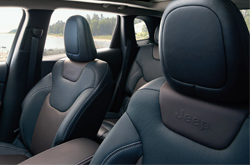 Upon stepping into any of the 2018 Cherokee models, consumers see the beautiful interior that Jeep is known for. The Morocco black or beige interior colors accent the dark beauty of all of the trim inside the vehicle. The rear seating offers the option to fold down flat, allowing the owner to utilize the back end of the vehicle for hauling purposes. A rearview backup camera is available to assist drivers in reverse. 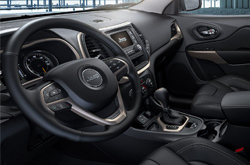 Jeep also has a cargo management system available in the Cherokee to add items like a first aid kit, pet kennel, storage locker or collapsible cooler to the vehicle. On the dash, the Uconnect system allows the driver to connect to their smartphone, navigation and entertainment easily. A convenient phone app also allows Cherokee owners to stay connected to their vehicle while away from it, enabling owners to even find their lost vehicle in a parking lot. An Alpine premium sound system is available in the Cherokee for the music buffs and a media hub in the cab features two USB ports and a 12-volt charger. To wrap up the interior, heated front seats and steering wheel come optional along with remote start. The 2018 Jeep Cherokee models come with two engine options. The base 2.4-liter, inline-four cylinder engine puts out 180 horsepower and 170 foot-pounds of torque. The larger 3.2-liter V6 boasts 271 horsepower and 239 foot-pounds of torque. The Jeep Cherokee lineup offers drivers the option of front wheel drive or all-wheel drive, depending on the trim package as well. On the exterior, the Cherokee shines while cruising down the road with Jeep's seven-slot grille, impressive wheels and dual chrome exhaust tips on the V6 engine option. Heated exterior mirrors and a windshield de-icing system make winter driving a breeze in the Cherokee. Starting with its construction, the 2018 Jeep Cherokee is built with a high-strength steel frame to better suit the vehicle in the case of a crash and to protect its occupants. The Cherokee comes equipped with a total of ten airbags in the cabin of the vehicle as well. The 2018 Cherokee also comes available with blind spot monitoring, lane keep assist and a forward collision warning. 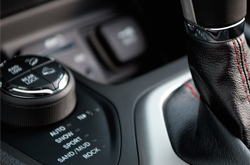 Available backup camera and parking assist lead to a neat feature in the Cherokee, automated parking, where the vehicle steers the vehicle while the driver operates the brake and gas pedals all at the push of a button.